We pretty much cook everything that we eat in either cast-iron or enameled cast-iron. we actually have a nesting set of cast-iron that I will post a pic of on Instagram @barefootchiro so you can see the beauty. Not only do I love that it’s nontoxic and the way it cooks, but it also adds just a bit of iron into your daily diet & that is good for healthy living. 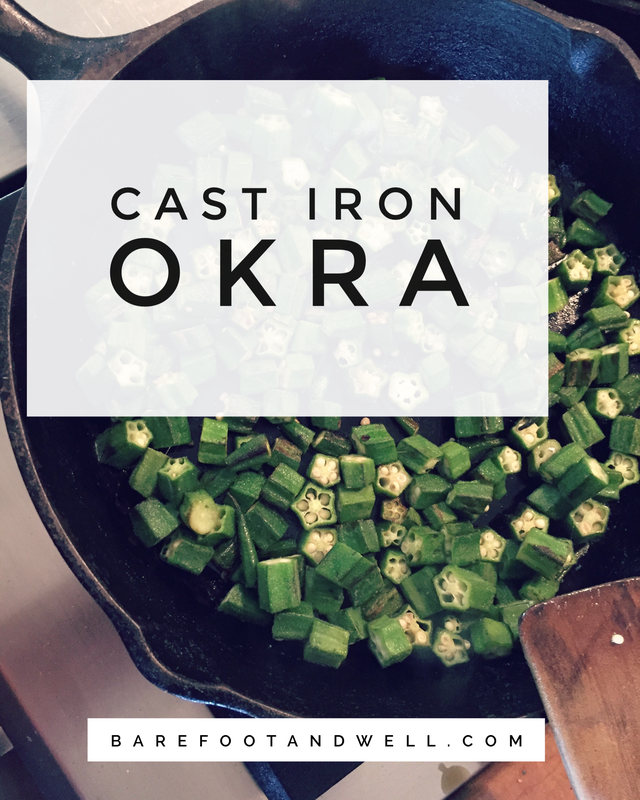 Gallery | This entry was posted in Eat Well, The Art of Living Well and tagged cast iron, Dr. Celeste McLean, Farmers Market, Gluten Free, grass fed butter, Grass-fed, Himalayan salt, Kerrygold, Love your food, Okra, organic, organic veggies, The Art of Living Well, vitality, whole foods. Bookmark the permalink.